Pheebert's Stone Garden Statue - Phoenix The Fire Bird high-quality garden feature, hand made using a special mix of aggregate which is frost proof, but still ensuring a high quality detailed finish. English cast stone hand-finished with a patina to resemble antique stone, an effect that is enhanced by time and the weather. This fierce mythical fire bird is famous throughout the history of the world as a symbol of immortality, virtue, power and prosperity. 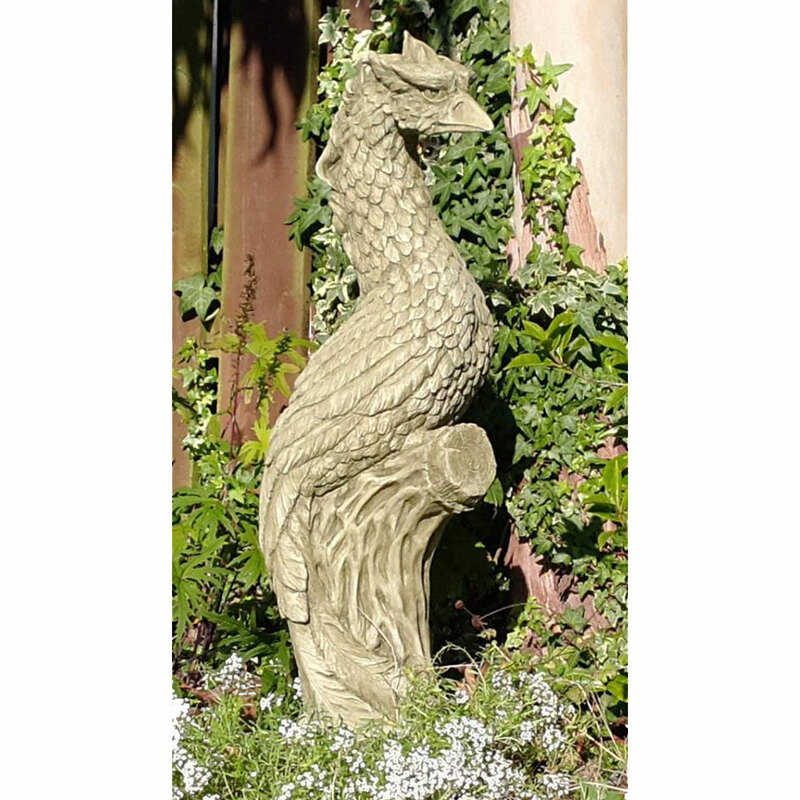 This ever faithful phoenix is the perfect guardian for your home and garden. Pheebert's garden statuary carries a small, pewter Pheebert’s seal of authenticity near the base to show that it’s genuine.